Toyota has been testing an all-new LMP1 car since last year, and could return to the Le Mans 24 Hours as early as 2012, according to this week's AUTOSPORT magazine. 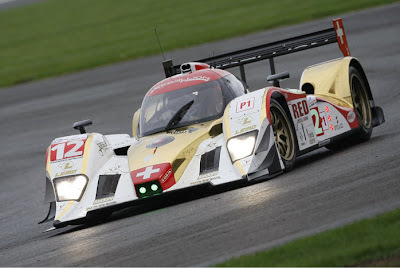 The Japanese manufacturer commissioned the machine, which is known to incorporate hybrid technology and comply with the 2011 prototype technical regulations, from racing car constructor Dome. When asked about the possibility of Toyota returning to top-line prototype racing, Vincent Beaumesnil, sporting manager of Le Mans organiser the Automobile Club de l'Ouest, said: "We are in contact with many manufacturers who are interested in LMP1, not just Toyota." Toyota last competed at Le Mans as a full manufacturer in 1999, but supplied engines to the Rebellion LMP1 squad on a customer basis this year.